This is day 6 of my 21 day prayer and fasting and there have been amazing things happening with just the first 3 days. Rather than that, there has been something that’s been on my heart for quite some time and I’ve been wondering how I should even talk about this but I’m just going to go ahead and go there with my thoughts. I’ve been meditating on the unconditional love of God. Many people are hurting because what’s out there isn’t genuine, it’s conditional. How can we be open if people only like the so-called “good” parts of us but when you come out with the worst side of yourselves, people begin to shun you. It’s as if you aren’t even allowed to have a bad day. I confess, there are times when I cuss out…yes, there have been times that I was soo upset that I set aside my “christian” self and went on a flesh rampage and cussed out to relieve stress. I’m not condoning what I’ve done, I’m just gonna be real with you about it. I’m a Christian who has cussed when having a bad day… Yes…have self-control (I know that already in my head…but let’s be honest here…sometimes I fall – there I said it). The truth is, before I was saved, I had issues with cussing. I remember reading an email I had sent to someone after 2 years of being saved and noticed how many cuss words were in that email…I was ashamed to find that I had such a potty mouth. Although I no longer cuss out like I did before I was saved, it doesn’t mean that it hasn’t been an ongoing struggle. I am saved and I am still being saved by the grace of God as I fight and war with my flesh and hold onto what is good, what is worthy of note what is of good report. I’m a Christian, but I’m also human….I’m not handing out an excuse…I’m handing out a REALITY my friends. How is it that I can go to church one moment and cuss out the next moment…listen…I’m not superhuman, I’m just me…I’m just a broken vessel needing Jesus, my Savior. Although I don’t cuss as much, I do relapse when I get complacent. Yes, there are times when I say things without thinking and I praise God that my heart is sensitive enough to feel grief and conviction to know when I’ve done something that hasn’t pleased God. I think the most scariest place to be in the world is when you no longer feel that conviction of the Holy Spirit. The moment you no longer feel that conviction from the Holy Spirit is when your conscience has become seared to no longer hear nor feel the heart beat of Jesus. It’s amazing how many people I encounter with such self-righteousness that they throw stones so easily at others who are their brothers and sisters that they don’t take the time to do some self-inventory and see the planks that exist in their own eyes. Sometimes I think God looks at us and shakes His head…. 7 “Judge not, that you be not judged. 2 For with what judgment you judge, you will be judged; and with the measure you use, it will be measured back to you.3 And why do you look at the speck in your brother’s eye, but do not consider the plank in your own eye? I’m not saying that it’s ok to cuss or anything, that’s my own weakness that I’m still dealing with, but what I’m getting at is when can Christians be real and judge not so easily about the weaknesses of other and operate at a level of Godly Compassion? I don’t care if you’re shocked with my weaknesses…because I’d rather be in a place where I am able to confess my weaknesses before God rather than be a closet Christian pretending to act like “I’m ok”. There are days when I’m not ok and I cry, and I seek God’s face and wonder…why am I like this…how did I get here…why is it so hard to be Christian? The problem isn’t with the message of Christ, it’s with the actions of other Christians. We lack that element of the unconditional love of God in our heart. Remember that saying that goes: “People don’t care how much you know, they want to know how much you care”. We need to practice unconditional love. I’ve been around different walks of life both young and old and have traveled and lived in various countries by the grace of God that I can truly see the beauty of God through all these different types of people. We were all born unique and it is in that uniqueness that we have to learn to embrace our differences since we are all part of the same body but all performing a different function. Lately, I feel that God wants us as people to remember that when He gave us His Son Jesus…it was because of that unconditional love that He has for you. He died for you…He died for the murderer, slanderer, adulterer, the gay the lesbian, the confused, the angry, the lonely, the seemingly unlovable, the psychotic, etc, the point is Jesus died for everyone without discriminating on whatever weakness you had. The truth is, God’s love is so amazing that it’s truly hard to comprehend and yet so easy to understand because it’s simple, God is Love personified. His name is Jesus and yes, He is The Unconditional Love that we all need. Men may judge you easily because we are imperfect beings, but through Christ we become perfected. You are not too far gone that God’s love can’t reach you. Jesus’ hand is always extended to lift you up whenever you are down. God loves you. 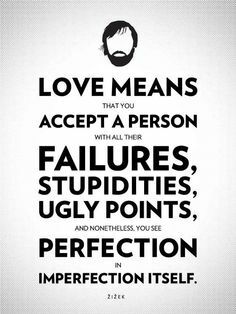 Christians and other people in this world are simply human, and imperfect humans usually display an imperfect love towards others. It’s because unconditional love was authored by God Himself. Jesus became a live demonstration of God’s love so that we could understand that it is possible to love others unconditionally. The struggle is real, but my emphasis in this post is understand that the Unconditional is part of your identity as a Christian. If you are partial in your love, then you need to seek God’s face to help you build up this level of Godly love to demonstrate to others. Tt doesn’t mean that there won’t be people that challenge your ability to love them, however, you must learn to ask God to increase your ability to love the unlovable. God is real and He loves you. I know I could preach all day long on this, but this was was in my heart after I read a post of a person who abandoned the faith just because of what he saw other Christians do. It’s sad… I don’t blame people who walk away from the faith…the truth is, they probably haven’t walked away from Christ in their hearts because they know how Christ loves them. However, it most likely may be that they have simply walked away from other Christians because of how they practiced their conditional love. 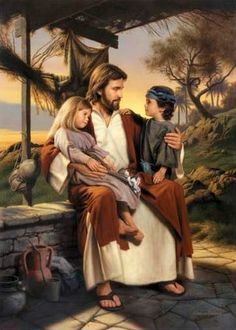 Jesus understands you and wants you to know, that He will always love you. People may fail you, but God will never leave you or forsake you because He is the Unconditional. Amen! How important it is to be real with ourselves, God, and each other! Then we can encourage each other as brothers and sisters in Christ, and we can learn to let His unconditional love flow through us.